Termite Inspection | Sherwood Inspection Services, LLC. This is a service that we highly recommend for our customers in Connecticut. Residents in Connecticut often deal with termite and general insect issues because of the comparatively mild winters and warm summers. Our home inspectors make sure to examine the most obscure areas of your home for these invaders. Often time, this is where the insects will reside. Your inspector’s job is to understand the habitat of pest dwellers during your inspection. Termites have been around for over 250 million years. They are social insects and live in colonies which may be located in the ground or in wood, depending on the species. Termites feed on cellulose from wood and wood by-products such as paper. They attack and damage thousands of structures each year and are worldwide with about 2200 described species, with about 40 here in the States. Carpenter Ants are native species and the common species in the East. They earned their name from their habit of hollowing out galleries in pieces of wood for nesting purposes. This nesting can result in structural damage to your property. Typically, these ants enter buildings around door and window frames, eaves, plumbing/utility lines, and shrub and tree branches in contact with the building .They primarily feed on insect honeydew, plant and fruit juices, insects and other arthropods and will also feed on sweets, eggs, meats, cakes, and grease. They get their name from their habit of boring into wood to make galleries for the rearing of young. They are worldwide with about 7 species in the States. Carpenter Bees are not social insects and do not live in nests or colonies. Females will nest in a wide range of woods, but prefer weathered and unpainted wood. Common names include anobiids, lyctids, and bostrichids with about 310 species in the United States. The most common of these are the Anobiids. They primarily attach the sapwood of softwoods and hardwoods, structural timbers, lumber, and manufactured products. Higher moisture content is desirable for beetle development. Some adults are attracted to light and may be found at windows, etc. The aforementioned insects are more likely to enter a home that has humid or damp conditions. This may not be noticeable to the average person which is why it’s important to hire a professional to help determine if they are present or if there are conducive conditions for them to enter. 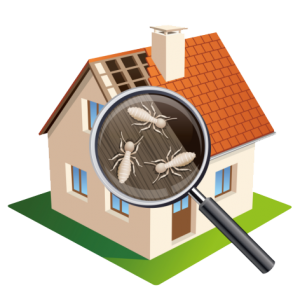 Our inspectors understand all aspects of building sciences which allows us to do a better job in detecting insect problems that others may not. 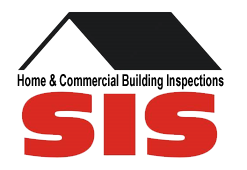 Get ahead of any potential infestation issues by calling us at 860-646-9983 to set up your inspection!